Last season there was so many sidekicks wanting the chance to show they are the ultimate sidekick. They begged us to do another season, so here we are! 1. Each round you will send me a list of the sidekicks remaining. 1 being the sidekick you trust most. You have 24 hours to do so. Fail to send in a list and a +50 is added to your score. 2. After I receive all the lists, the two sidekicks with the lowest score will become the True Star. This process will change as we get to less players. Note: Incase of a tie, previous rounds scores will be used. If another tie occurs then random.org will decide who gets it. 3. The two True Stars will then each select one other sidekick to become their wingman. This is decided by the highest sidekick placed on the True Stars list. 4. The True Stars will also receive a SHINY APPLE. This shiny apple has one affect and that is giving you more names in the Magic Kingdom Arena. 5. The Two wingmen will then need to select two extras, these are the other players still remaining. This process will change as we get less players. This is decided by the two lowest placed sidekicks that are still available. 7. The two extras who don't survive in the Magic Kingdom Arena will head to the Pits of Despair, where one of them will be eliminated. In order to determine who is eliminated all the lists will be added together and the extra who has the highest amount of points will be eliminated. Incase of a tie the previous rounds score will be used. Incase of another tie, the True Star who had the better score's rank will be used and whoever is lower will be out. This all continues until only three remain where then we will find out who the ultimate sidekick, truly is. 1. All the characters are going to remain anonymous. no one is going to know who is playing who. So how will this determine how you send in your list? 2. you are not allowed to tell anyone who you are. If I catch wind of this you will be eliminated from the game. 3. You are allowed to post in the thread as whichever sidekick you would like, it's up to you how you decide to play. 4. Like previous seasons two people will re enter the game. 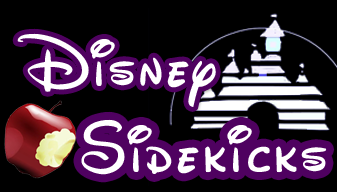 Are you willing to help figure out which sidekick is the best of them all? Last edited by RiddleMeThis; 02-19-2019 at 06:09 PM. Sign ups are now closed. You will soon be receiving your character. Note: There was a tie for second place, and since there was no prior scores to go off of, random.org was used to decide who would place higher. 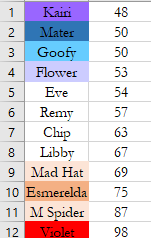 These results will be shown in the elimination post. Congratulations to the two of you, you guys will be choosing the four extras, which will be revealed in the next post. Full Score results will be posted with the elimination. Last edited by RiddleMeThis; 02-11-2019 at 12:13 AM. The Wingmen have made their decisions and we are about to find out the four players headed to the Magic Kingdom Arena. The four of you are headed to the Magic Kingdom Arena, where two will survive and the other 2 will face elimination. Elimination is coming up next. Congratulations you are still in this game. will be the first Sidekick leaving. We are about to find out who that will be. The Sidekick with the higher score will be going home. I'm Sorry Violet|JustPlainEvil but you are the first sidekick leaving this game. Had you been in the bottom 2 with anyone else you still would have been eliminated. Note: Had you actually submitted a list this round you would have been one of the top two sidekicks. However you will still have a shot to reenter the game as a hero at a later round. Good luck! It is now time to send in your second rounds list. Good luck!